Update internal info Overriden by derived classes. Code for requesting missing information should go here. 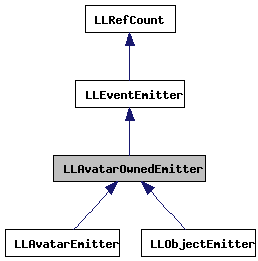 Base class for objects owned by an avatar This handles the part of looking up the avatar's name if needed. Definition at line 198 of file llfloatereventlog.h. Definition at line 92 of file llfloatereventlog.cpp. Definition at line 137 of file llfloatereventlog.cpp. References LLCacheName::cancelCallback(), gCacheName, mNamePending, mOwnerID, and nameLookupCallback(). Definition at line 205 of file llfloatereventlog.h. Definition at line 204 of file llfloatereventlog.h. Definition at line 116 of file llfloatereventlog.cpp. References llendl, llinfos, mNamePending, mOwnerID, and mOwnerName. Referenced by update(), and ~LLAvatarOwnedEmitter(). Definition at line 99 of file llfloatereventlog.cpp. 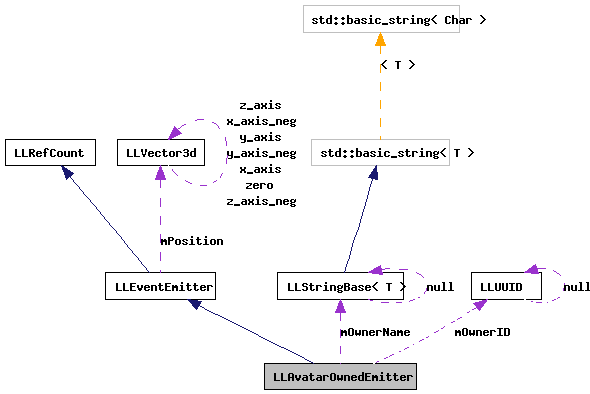 Referenced by LLAvatarEmitter::LLAvatarEmitter(), LLAvatarOwnedEmitter(), and LLObjectEmitter::LLObjectEmitter(). Definition at line 105 of file llfloatereventlog.cpp. References FALSE, gCacheName, LLCacheName::get(), llendl, llinfos, mNamePending, mOwnerID, mOwnerName, and nameLookupCallback(). Definition at line 215 of file llfloatereventlog.h. Referenced by LLAvatarOwnedEmitter(), nameLookupCallback(), update(), and ~LLAvatarOwnedEmitter(). Definition at line 211 of file llfloatereventlog.h. Referenced by LLAvatarEmitter::getID(), getOwnerID(), nameLookupCallback(), setOwner(), update(), and ~LLAvatarOwnedEmitter(). Definition at line 212 of file llfloatereventlog.h. Referenced by getOwnerName(), nameLookupCallback(), setOwner(), and update().